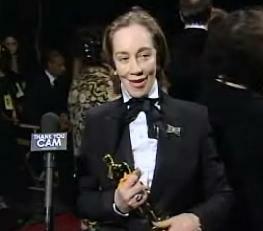 Just as in many years past, members of The Academy of Motion Picture Arts and Sciences have no idea what is good. The true best picture and best actor were not even nominated. Now come on! There is no way that Forest Whitaker's outrageously over the top portrayal of Idi Amin was better than Samuel L. Jackson's much more realistic and even-keeled portrayal of FBI agent Neville Flynn. 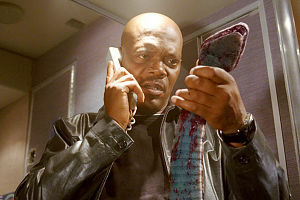 Snakes On A Plane was a much better film than The Departed, that gangland cliché ridden tripe. Snakes On A Plane also featured several who should have at least been nominated for their supporting roles, like Flex Alexander as Three G's, the hypochondriac rapper with his hand sanitizer, or Sunny Mabrey as Tiffany, the girl with the little dog. If there has ever been a better satire of Paris Hilton than her I haven't seen it. The song and dance portions of the show were lamer than ever. We will certainly not be seeing Will Ferrell or Jack Black again at The Awards Show Awards, and Ellen DeGeneres is just not funny either. She is dull with a capital "d". I get it that she and many of the other women in Hollywood these days are lesbians, but that is no excuse to wear a pant suit at a formal occasion. Would it kill Ellen or Milena Canonero to put on an evening gown? The Academy has always given awards to artsy fartsy foreign films no one understands, and they stayed true-to-form by heaping praise upon Pan's Labyrinth. Wasn't there already a movie like this with David Bowie and people speaking English? I was disappointed. Best Animated Short went to some weird little cartoon about a poet. Why don't they ever give this award to something funny, like maybe an Itchy And Scratchy cartoon? I don't know if I can go as far as to say that 2007 was the worst Oscars ever, as I have seen some stinkers in my day, but I can describe the 79th Annual Academy Awards in one word: Awful.